There was trick or treating at Wind Creek State Park this past Saturday. 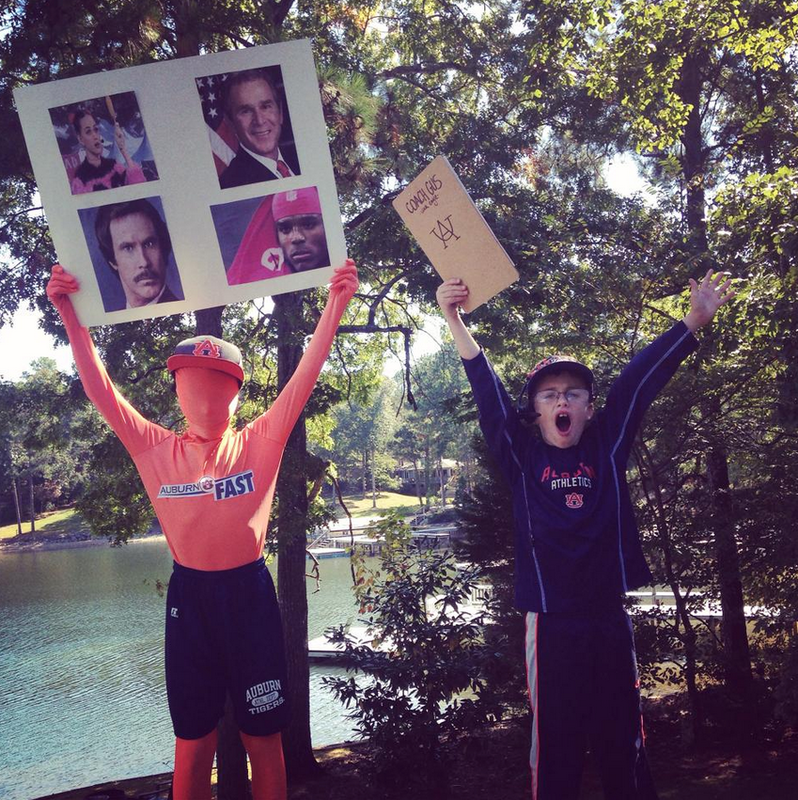 Third-generation Auburn grad Leah Dickinson (whose blog you can check out here) took her two sons Ethan (age 7) and Owen (age 9), or as they introduced themselves to the candy-hoarding denizens of Lake Martin: Coach Gus Malzahn and “Mr. Auburn Fast”. Not that they needed to introduce themselves. 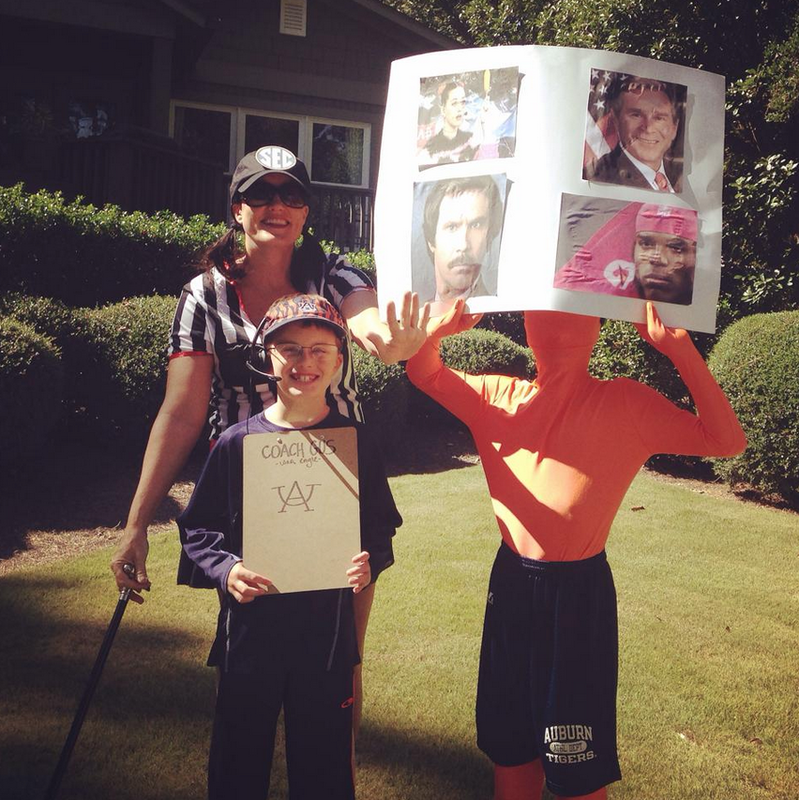 And they had props: Mr. Auburn Fast (Owen) had a homemade Auburn play card featuring Katy Perry’s corndog death stare, while Ethan accessorized with a “Coach Cus” clipboard. Dickinson says the boys were a hit, even with the arch rivals. 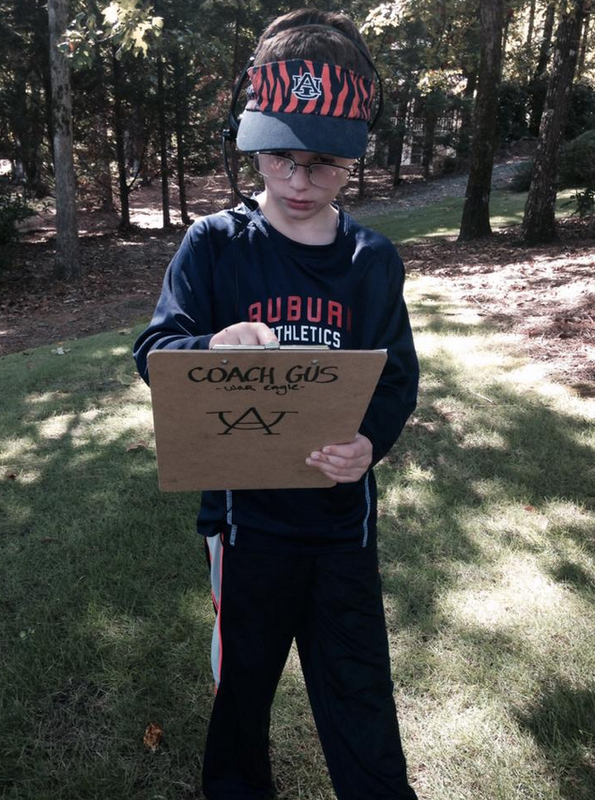 Judging by recent trends (as opposed to those depressing 2011 trends and 2012 trends), Ethan’s won’t be the last Gus Malzahn costume we see this Halloween season. 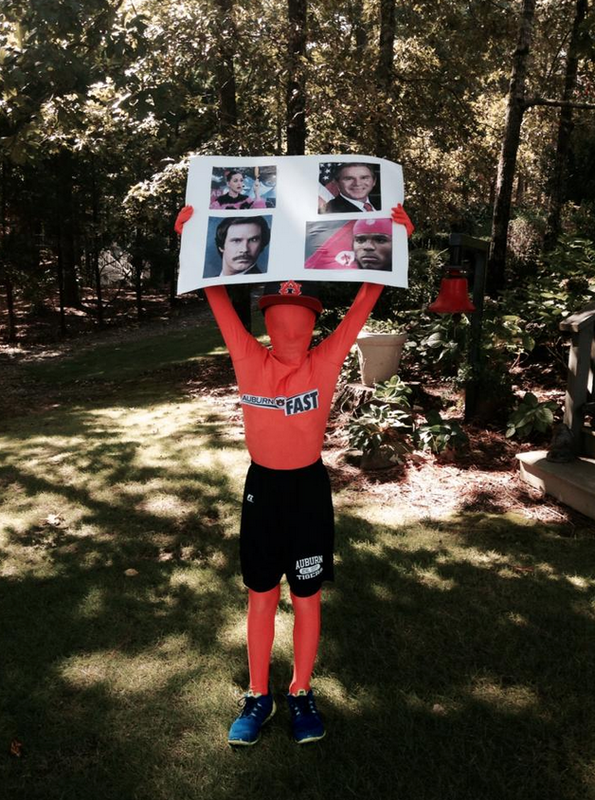 Six-year-old Micah Fuller went HUNH for his school’s Celebrity Day earlier this month. Related: Jake Longenecker tries to buy Auburn Ball Boy T-shirts without being recognized, fails.